The full precis of this book is at the bottom of my review. I must first point out that this memoir is by a police officer who worked in the Los Angeles Police Department. His experiences and situations may not be the same in other countries or even other states of the US. Forever Blue records the forty-year career of Carl Ross through his experiences in law enforcement. His recollections, obviously based on well-kept notes, vary through humorous to dangerous situations, exciting to tedious, boring to exciting. They tell of pressure brought by the system, fellow officers and, of course, criminals. They also express many satisfactions of being a good cop. The information is not only of interest to anyone considering a career in the police force but for the general public gives a greater understanding into the challenges of such a career. However, while I appreciate Ross’ dedication and integrity in his chosen field I felt the book, although well written, is too long with many similar situations recorded making it somewhat tedious and boring reading. Carl Ross has spent over four decades inside the world of police work. His memoir takes the reader on patrol, into investigations, on SWAT calls, and inside the chief's office, all the while explaining what officers do and why. 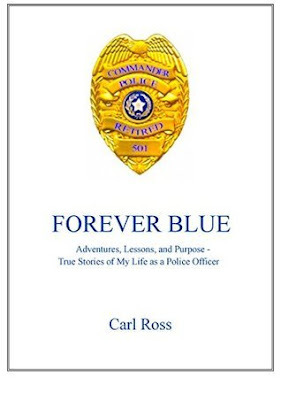 Forever Blue has more than 225 true stories taken from the author's files and unforgettable encounters. 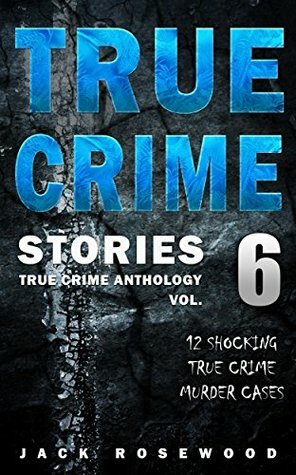 The following samples of the book's stories give a glimpse of the variety of experiences in store for the reader: the best way to have a wreck in a police car; the murderer and the band saw; suicides in progress; one nightstick too many; all knives look sharp when pointed at your stomach; on scene during the UT Tower Massacre; a cop killer's parole hearing - 30 years later; a Texas Ranger's story; 3 weeks at Ground Zero; the Green Goo case; SWAT saves a family; when the dog barks - pay attention; a killer in the bushes; the captain's foot chase; why the fire department called the police; terrible collisions; when bad cops cross the line; heroes who gave it all; SWAT and "knock-knock" come calling; count the police cars before a burglary, and "No...no, don't shoot." True Crime Stories Volume 6 chronicles twelves crimes from different countries that occurred at a variety of different times including mass murders. This is the first in this series I have read or, in fact, anything by Jack Rosewood. It is an intriguing collection with detailed information but I found it not too grisly. Rosewood doesn’t just detail the crimes but looks into the perpetrator’s background and personality. Having said that it concise with just sufficient information and obviously well researched. For an intriguing, quick read I highly recommend this book to readers of true crime stories.